Minimalist shoes have become popular for one bag travel due to their thin sole and packable nature. Part of how they accomplish this is by having zero or low drop. Drop is the measurement of the difference in height between the heel and the forefoot of the shoe. We won’t go into the health claims here, but Altra has a good primer. 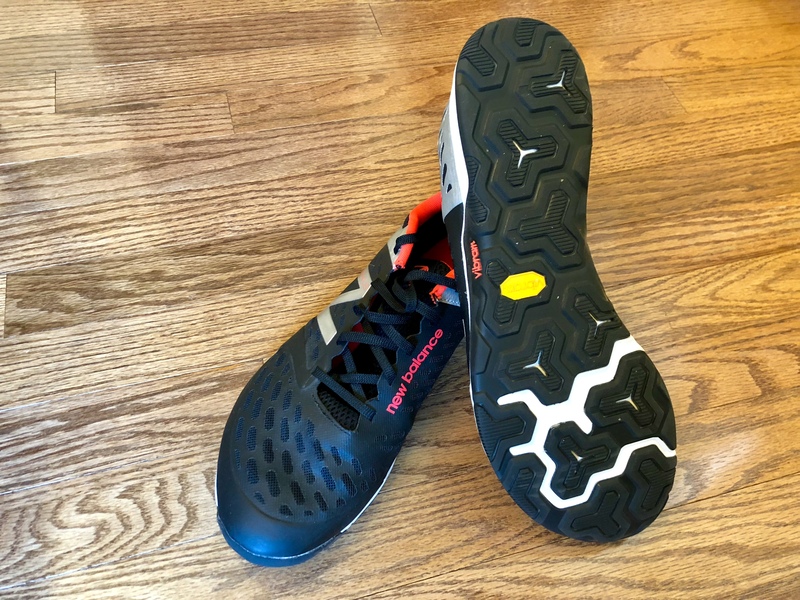 For me, minimalist zero drop shoes help me feel more connected to the ground (important for the gym) and are very packable (due to their thin soles and minimal padding). I’ve had two pairs for a few years now and I’ve come to love them for casual, travel, and gym wear. I own the Trail Glove 3, but they are very similar to the newer model, the Merrell Trail Glove 4. These are true zero drop shoes. After adjusting, these became my everyday casual shoe for everything from walking to light hiking. The mesh allows them to breathe well and the Vibram sole performs well in all weather conditions. They also have a wide toe box which adds to the comfort — your toes have room to spread out into their natural placement. Best of all, they pack down almost flat due to the light nature of the uppers and come in an almost all-black colorway. I also own the New Balance Minimus MX20BS4, while they have a 4 mm drop they feel very close to zero drop. I use these as my gym shoes, specifically for lifting and rowing where connection through your feet is important for proper technique. 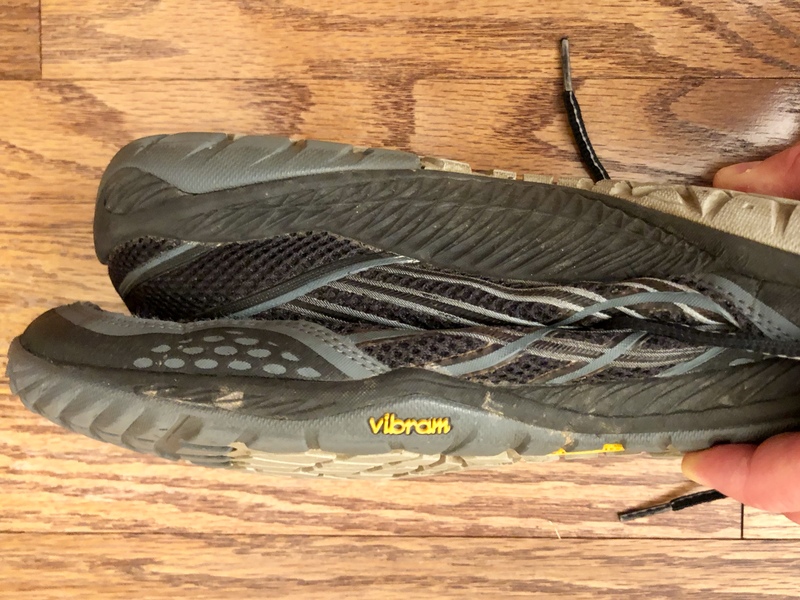 They also have a Vibram sole, which makes for a solid footing on any surface. The mesh upper, while breathable, is not as cool as the Trail Glove due to the higher level of a synthetic coating on the outside. These also pack down almost flat, but don’t come in as dark of a colorway. Why should I pack shoes when one bagging? Most likely, you shouldn’t. One of the easiest ways to save room in your bag is to not pack any shoes. It isn’t too hard to find shoes nowadays that will fit all our needs (look for an all, or mostly, black sneaker or a leather boot — see our packing lists for some ideas). When you do need to pack an extra pair (I often need proper dress shoes or safety shoes when I travel for work), minimalist shoes make it less painful. Merrell and New Balance both have whole lines of minimalist shoes with quite a few options. If you can’t find something you like there, this style of shoe is becoming more and more popular. While zero drop minimalist shoes take some adjustment, I have come to prefer them for casual and gym wear. 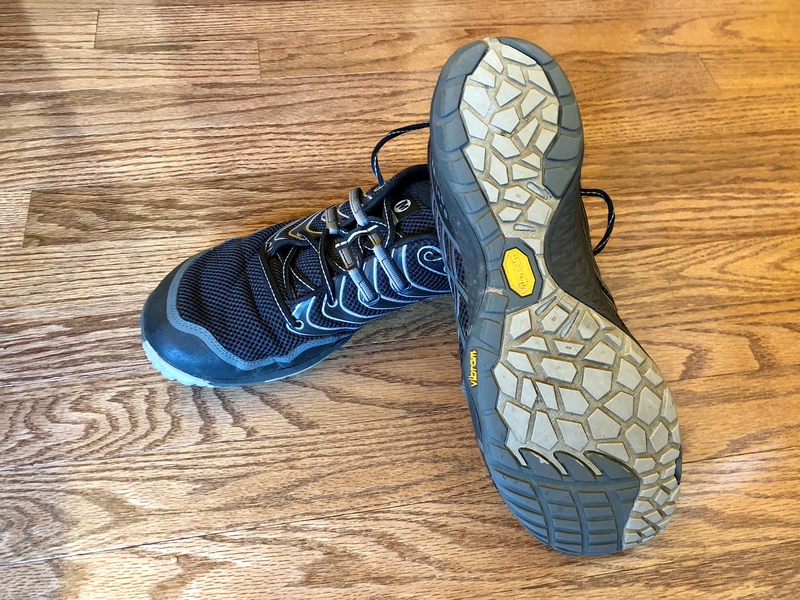 If you are looking for a shoe that is easy to pack and you want to try out zero drop, these two shoes are a great place to start.